So, MINURSO has been renewed for another six months and Horst Kohler will hold a meeting in Geneva in December. Does anyone expect Algeria or the Polisario to have an epiphany before gathering around the table with Morocco and Mauritania in Switzerland? Not very likely. Clearly, since Kohler has no magic wand, he could use a little help if he seriously wants the December meeting to produce anything more than a repeat of past get-togethers where the participants have been content to talk past one another in ritual restatements of their well known positions. So just where could Kohler get the help he so evidently needs? As I have argued in the past several articles in this space, what is needed is a breakthrough in the Security Council if there is to be any prospect of breaking through the divisions among the Parties themselves. What has been apparent for the better part of the last decade is that the principal members of the Security Council have been content to allow a continuation of the status quo in Western Sahara. Warnings from the Secretary General, both this one and his predecessor, that the region is unstable and in need of a solution to this issue before it gets any worse have failed to persuade any of the Permanent Five members of the Council to take action. 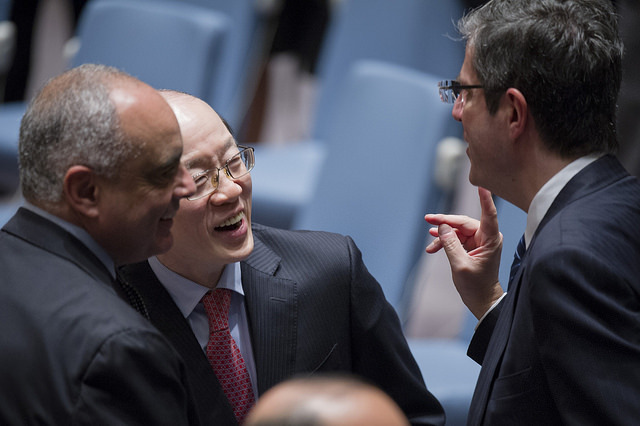 Has anything really changed in the Security Council that might produce such action? The only indication of change in the past year has been evidence of some frustration in Washington with the lack of progress, which resulted in the shorter leash on MINURSO. Shortening the renewal time for the UN peacekeeping mission is not going to produce the desired result. That tactic has been tried and has failed before. Those with a longer memory of this dispute will recall when MINURSO was on a rolling three-month, and sometimes even 30-day renewal cycle. Those shorter periods did nothing to help resolve the issue. So, if Washington is truly looking for progress and not just an excuse to cut funding and perhaps eventually curtail the UN’s peacekeeping mandate in the Sahara, what can be done to move matters forward? Washington’s policy already favors Morocco’s autonomy initiative, at least in principle. The repeated pronouncements of the last several US Administrations that the Moroccan initiative is “serious, credible, and realistic” make that tilt fairly obvious. However, whether Washington is truly serious about this preference for a compromise political solution based on some sovereignty/autonomy trade off remains open to question given the lack of consistent, tangible action on the ground to put some meaning behind the nice words. If Washington is serious about its declared preference, it needs to demonstrate its resolve more clearly. Failure to do so will only persuade those content with the current stalemate, including both Algeria and the Polisario, as well as those on the Security Council who remain content with the status quo, that Washington ultimately remains ambivalent about its declared preference. What could be done? Below is a short list of cost free actions Washington could take to put some muscle behind its current policy favoring a compromise political solution based on some variety of the autonomy/sovereignty trade off. This list could be significantly expanded, but the items below would represent a substantial step forward towards a solution. End the current policy that prohibits senior US officials from visiting Western Sahara. Nothing is more persuasive than actually visiting the region in person and talking with local leaders and everyday citizens about their preferences for the future. Washington would benefit from first-hand accounts of its most senior officials, and such high level visits would help signal that its commitment to a solution is more than simple frustration with the current lack of progress. Senior US officials visiting Morocco on other issues should be encouraged to make time in their schedules for a visit to the Sahara. They should use such opportunities to drive home the message that the US supports Morocco’s effort to resolve this issue through its autonomy initiative. Substantially increase US assistance to Morocco’s current effort to prepare the region for autonomy through its advanced regionalization initiative in the Sahara. There is already a small effort underway that was mandated by Congress to help with capacity building for local civil society. However, much more needs to be done to enhance the capacity of local government structures to assume their newly acquired responsibilities under the advanced regionalization program. The US has the expertise to assume this role and the local population would welcome the technical assistance with open arms. Encourage the US private sector to actively investigate growing investment opportunities in the region in areas such as renewable energy, tourism, agriculture, fisheries, and major infrastructure opportunities already underway or in the advanced planning stages. Enhance US diplomacy to demonstrate Washington’s preference for a compromise political solution based on Morocco’s initiative. This should become a regular feature of US diplomatic dialogue with other interested parties. Diplomatic exchanges on this issue should not be confined to the US Mission to the United Nations. Rather, they should be expanded to our bilateral dialogue in important national capitals – and not just in the days ahead of the time to renew the MINURSO mandate.